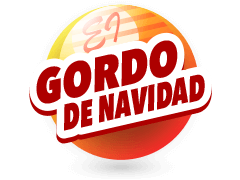 Should you elect to play El Gordo Navidad you will be participating in a very special lottery draw. The Spanish Christmas Lottery takes place annually on December 22nd in Madrid. The draw is made by Spanish school children with numerous songs featured in the expansive draw ceremony which lasts for 3 hours. If you play El Gordo Navidad then you will be entering a game that launched way back in 1812 in the city of Cadiz, 2 years later the draw moved to Madrid where it has remained ever since. Those who play El Gordo Navidad have a plethora of prizes to aim for due to the astonishing amount of possible combinations available from 2 heavily laden drums. There are an incredible 100,000 wooden balls in drum 1 and 1807 balls in drum 2. Despite there being such an array of prizes on offer, those who do opt to play El Gordo Navidad will undoubtedly have their eyes on the biggest prize available. The El Gordo Navidad jackpot is a fantastic 4 million Euros and whilst the amount of tickets sold and minor prizes can vary year to year, the jackpot does not. No doubt winning that jackpot would ensure a very merry Christmas indeed!